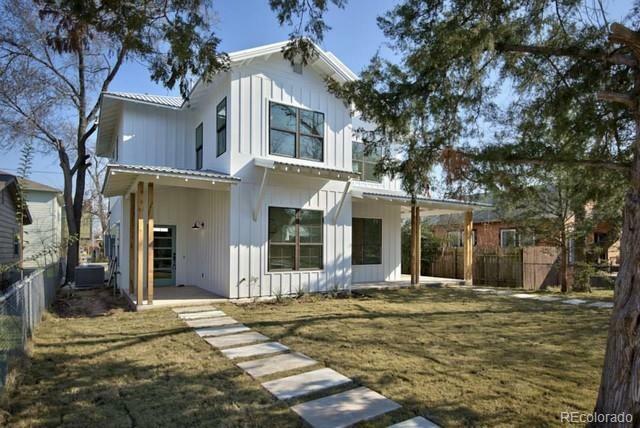 NEW BUILD DUPLEX IN SOUTH BROADWAY AREA WITH APPEALING MODERN FARMHOUSE ARCHITECTURE! THIS HOME FEATURES ALL NEW STAINLESS APPLIANCES, 10 FT CEILINGS, HARDWOOD FLOORS, GOURMET KITCHEN WITH QUARTZ COUNTERS AND SO MUCH MORE! THIS PROPERTY IS NEAR PUBLIC TRANSIT FOR AN EASY COMMUTE AND WALKING DISTANCE TO RESTAURANTS, BREWERIES AND SHOPPING. COMPLETION FALL OF 2019. THERE IS STILL TIME TO PICK YOUR FINISHES SO CALL US TODAY FOR A PRE-SALE PRESENTATION! Offered by Invested Real Estate.